The Learning Commons unites learning services to better support students’ academic success. Together in the Learning Commons, learning services (such as library research support, writing instruction, learning skills and careers services) collaborate to offer students enriched support and learning resources. The Learning Commons services support students as they develop the many skills, tactics, and strategies required for success in university and beyond. The Learning Commons offers support for students in the form of appointments, drop-in consultations, online modules and workshops. The Learning Commons provides support on areas such as writing, citation help, learning skills, time management, English language communication support, career skills, etc. These services are located in the Learning Commons Hub located on the 2nd floor of the Scott Library. Note that research assistance can be sought on the main level of the Scott Library, adjacent to the AskUs services. 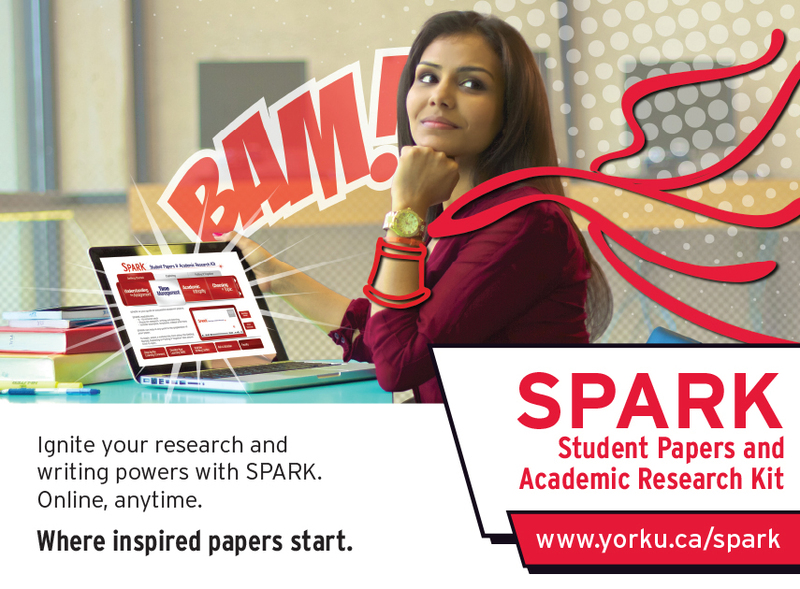 The Learning Commons also offers online learning resources, such as SPARK. The Learning Commons Hub is located on the 2nd floor of the Scott Library, and is home to drop-in pods for Writing Instruction, Citation Help, Learning Skills, the Open Learning Centre, and Career Services, as well as the Welcome Desk for general questions. The Learning Commons collaborates with instructors (faculty and TAs) to assist in embedding academic literacies instruction in course and program curricula. For questions related to the Learning Commons, please contact Sophie Bury, Learning Commons Chair, York University Libraries.